My Mom gave me this picture a few weeks ago. 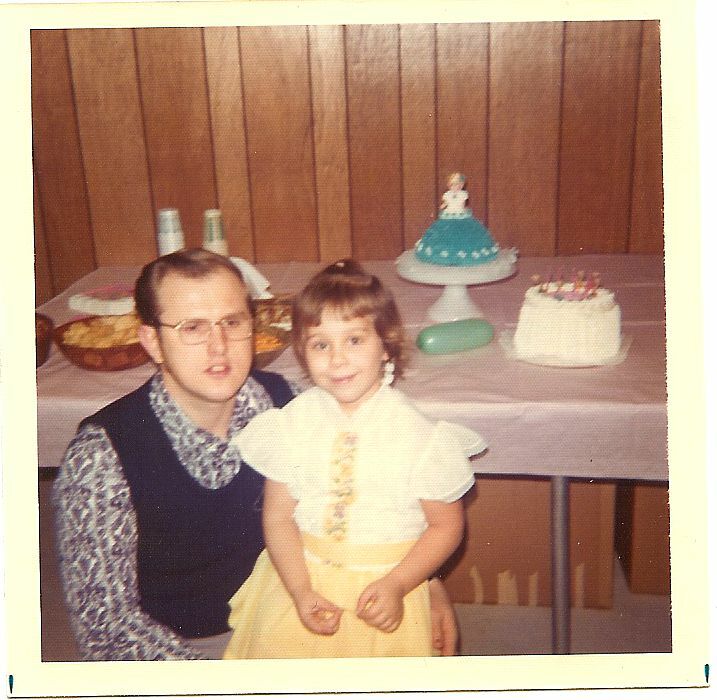 This is a picture of my Dad and me at my 5th birthday party… see the Barbie doll cake on the table???? My Mom took a cake decorating class to make that (somewhere around the time she also dabbled in ceramics… my Mom was crafty for sure). That was the year my Mom and Dad bought me a Barbie Corvette. After everyone left the party, I just drove and drove in circles around our little basement. 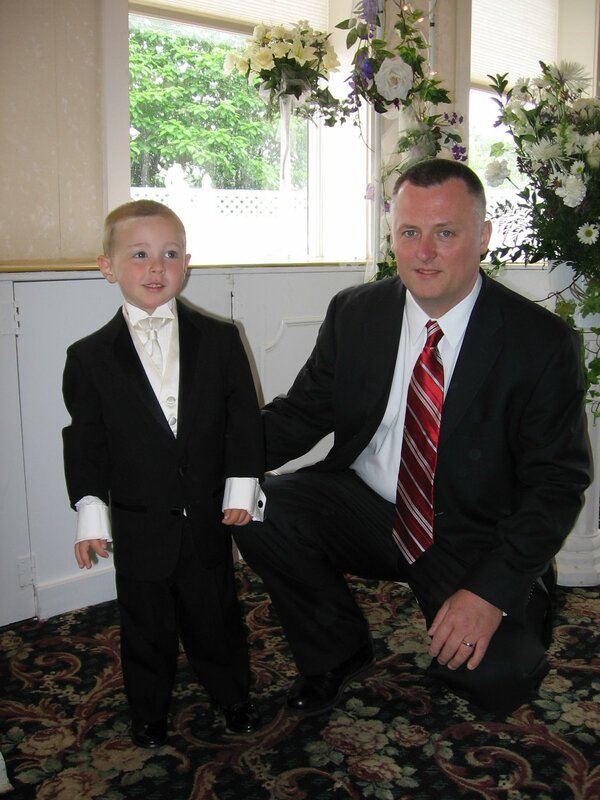 We all marveled at how my Dad actually had hair back then, and how young he looked. When I was 26 I had just gotten engaged with S. We were married at 27. Babies weren’t even close on the radar. and here I am… just turned 39. Hubby will be 4-0 this year! He has a persistent fear that people will think he is his son’s Grandpa, not his Dad. So silly. Maybe he thinks it’s his gray hair. I think he looks great, and he looks as youthful as any guy around 40. So, as we step futher into this fertility drama, I wonder if my hopes of having another child will happen before I am 40. Who knew I would be here in this predictament. I could care less about the fact that I will be an older Mom. I already am, really… having had David at the age of 35. But I look around me, and there sure are a LOT of people like me. Sure, I run into the occasional Mom at preschool that is 24 with 3 kids. I say a blessing silently to those young Moms, that they grow into parenthood with no regrets. I secretly dispise them for having as much energy as their kids. lol. On the flip side, it’s nice to run into the Moms closer in age to myself. We arrive at the preschool with the kid(s), the lunchbox, the backpack… juggling a cell phone, blackberry, purse… and can barely climb the stairs to the 2nd floor in one piece without stepping up that last step with the biggest SIGHHHHH in the world. (oh, my aching back) We give each other that “knowing” look… yep, it’s hard to be a MWM (Mom With Mileage). We are women who still feel like we are 21, but trapped in an aging body. Is that the cruel joke of aging? The fact that I still can dance to Justin Timberlake with my iPod, but I need an ice pack later that night?? ok, I am embellishing about the ice pack, but I feeeeeeel it in my bones. I am not 21 anymore, however I refuse to believe it. I hope/pray that I live a very long life, not just for me, but for David. Dang, that is old. I better start saving for that first face-lift. Hi. Found you on blogging chicks. Great post~ I’ll definately stop by again. Laughing! I’ve never heard the term MWM. It’s perfect.